We offer home consultations and to the trade courtesy. Convenient opportunities to build a collection for your home, if you have an area in mind, with color, size and style suggestions we can bring your vision to life. Let us meet you at home and be amazed with the options at your disposal. In home consultation with appointment. We assess your décor and make recommendations to help you achieve the desired look for your home. 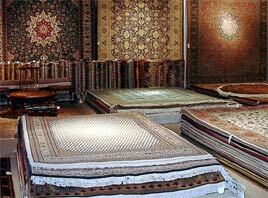 Click below to contact us for an online appraisal of your rug. Just mention Appraisal in the subject and we will follow up soon. From as far back as any of us can remember we have been around area rugs, from the time that we could only crawl on them our family has been preserving the knowledge of the weaving tradition. In all of these years we have seen some rare and unusual pieces and even sold some that were so historically significant that we had later come to regret. In the field of appraisal, we are familiar with every kind of area rug and can provide a client with a breakdown for valuation and insurance purposes and a description of the interpretive symbolism that comprises an oriental rug. Safely secure an area rug from slipping, shifting or bunching with special underlays made specifically for wood, tile, and for carpet-on-carpet. Custom-cut underlay for hard surfaces and carpeted surfaces. Our underlay products are designed to minimize wear and prolong the life of your rug. Before any repair work is initiated we would suggest a thorough cleaning in the age old handwash method. Our team has mastered the special skills of delicately extracting abrasive grit from the pile of area rugs through a massaging process that renews and maintains the coating of natural oils in the area rug fibres. The immersion cleaning process takes one week and uses all natural cleaners and maintains the protective natural oils of your woollen carpet. 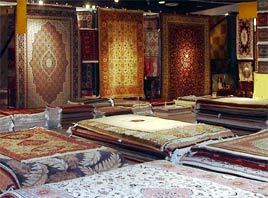 We also ensure all rugs are thoroughly rinsed of all soap residue which otherwise decrease the lustre of your wool or silk rug cause. We are also handle fugitive (not colour-fast) dyes by providing a thorough surface cleaning. Involves a thorough reconstruction of damaged areas, and re-knotting the pile. Entails filling in holes or covering damaged areas. Fringing involves re-knotting a hand fringe or machine fringing on a new fringe. Early care can save your original fringes. Involves overcastting damaged or separated side cords. Custom made area rugs to your size, design, and colour specifications. Due to the inherent nature of a custom commissioned piece we would recommend that a client contact one of us at the Global rugs team so we could better co-ordinate and assess the needs on a more specific basis. 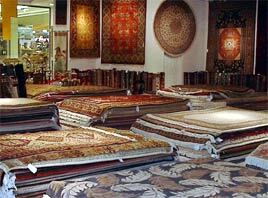 Generally this option is more suitable for those who are having a set of area rugs custom made in various sizes. 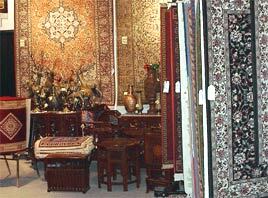 Another option is to have a larger rug tailored to your specific size. The rug would be resized or reduced to a smaller suitable size and then reserged or fringed as you like. This allows clients to obtain customized sizes quickly and easily.